A number of petrol bombs have been thrown at the railway crossing in Lurgan overnight. 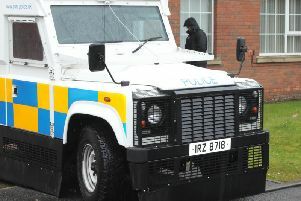 The PSNI said they received a report of a number of petrol bombs thrown just after midnight at the Lake St crossing. However it is understood no damage was caused. Sergeant Meaney said: “Two youths were seen running from the nearby Kilwilkie estate and throwing two petrol bombs at the railway track, when the barrier was lowered and the last train had gone through. “They then put another petrol bomb into the pump house, close to the railway line barrier, before running back towards the Kilwilkie estate. “NIFRS attended but the petrol bombs burned themselves out. It is not believed that any damage was caused.